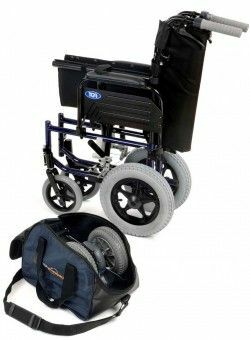 Wheelchair TGA Single Wheel Powerpack - Solo. 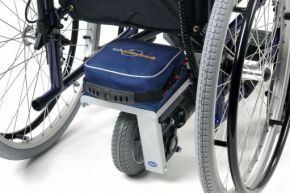 The Single Wheel Solo Wheelchair Powerpack attaches to any wheelchair in literally seconds. 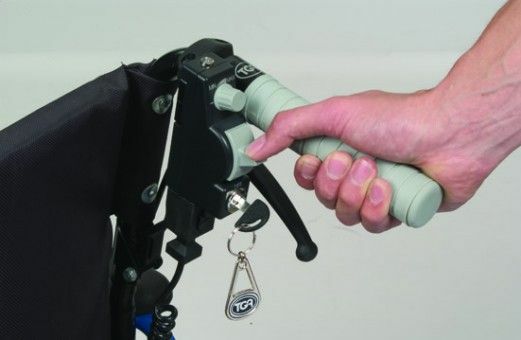 Once fitted you will never need to push the chair again. 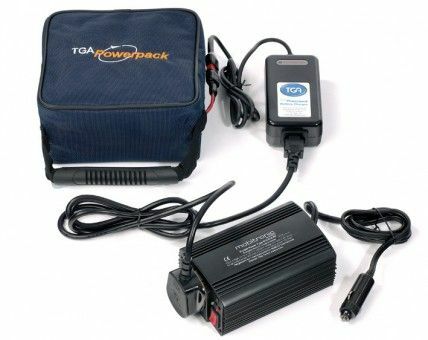 Simply walk behind with your thumb on the control and let the Powerpack do all the work for you.